Another exclusive application is now available on the Windows Phone marketplace just for Lumia owners. 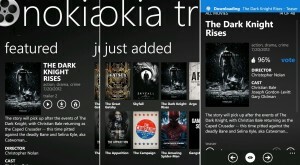 Following the release of the also exclusive The Dark Knight Rises application, Nokia Trailers is now available. The title is pretty self-explanatory, it is an application that provides the latest movie trailers, including featured and highlighted trailers as well, all in one convenient application. You can easily find movie trailers based on what is currently available in theaters, trailers for movies coming soon, most popular trailers, and even local movie theaters once a trailer has convinced you. All trailers are also available for download directly on your Nokia Lumia Windows Phone for offline viewing. In common with many current Internet movie and television show services, the application also includes a watchlist. The watchlist allows users to conveniently put together a list of movies that they would like to watch, of course after taking a look at the trailers most likely. 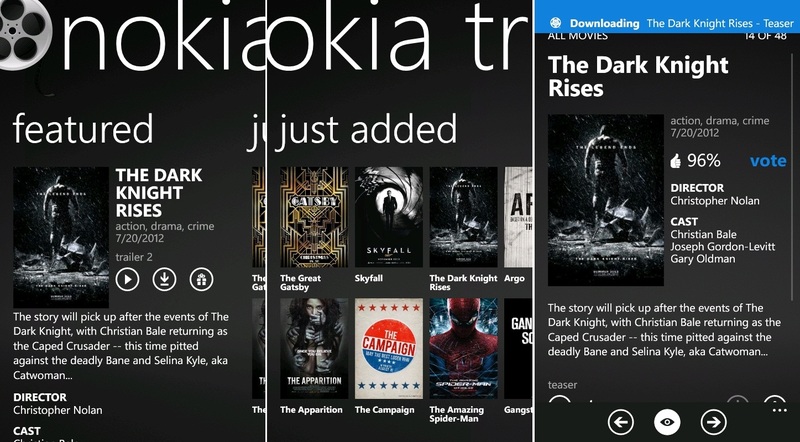 Using the watchlist through the Nokia Trailers application, a reminder is automatically also created on the Windows Phone device to remind the user when the movie becomes available in theaters. Remember, this is another application exclusive to Nokia Lumia Windows Phones. If you do have a Lumia Windows Phone, you can find your Nokia Trailers download link below.